I’m a writer. 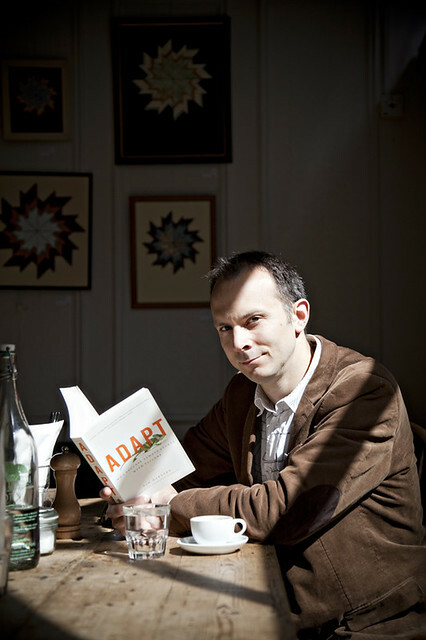 I write about the economics of everyday life in my books and as a Financial Times columnist. I also present some radio and TV. You can find out more from my biography. Lots of text on this site – any videos? Yes, and book cover images too. Please credit the photographer, Fran Monks. All the images are available on the Undercover Economist site on Flickr. You have a face for radio: do you take advantage of it? Absolutely. I am the presenter of the Radio 4 series, More or Less, about the way numbers are used and abused, especially by the media. Check out my biography for other TV & Radio escapades. Yes. In fact, I’m rather proud of them, and have won awards for my speaking. These guys handle my speaking engagements. My event schedule is here. Yes, and I try to answer them too, but that is getting harder. Increasingly I have to prioritise writing articles and books that reach every reader rather than replying to a single email. I’m sorry about that. And there’s always Twitter. However, there are friendly people who do undertake to respond quickly and professionally to enquiries about translations, speaking requests and so on: they are my agents.